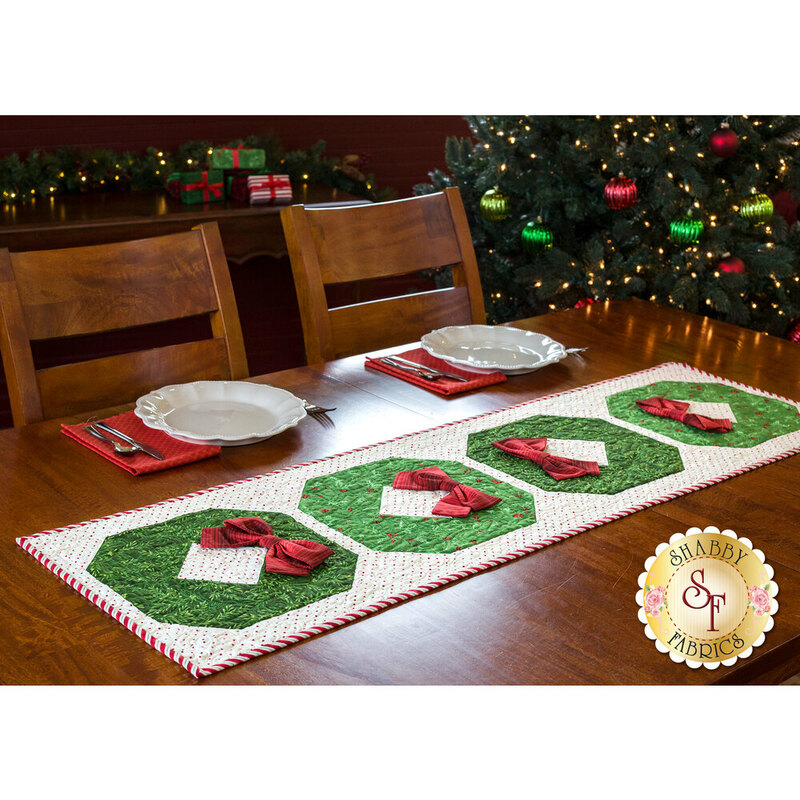 Warm up your home this holiday season and bring the cheer around the table with the beautiful Christmas Wreath Table Runner! 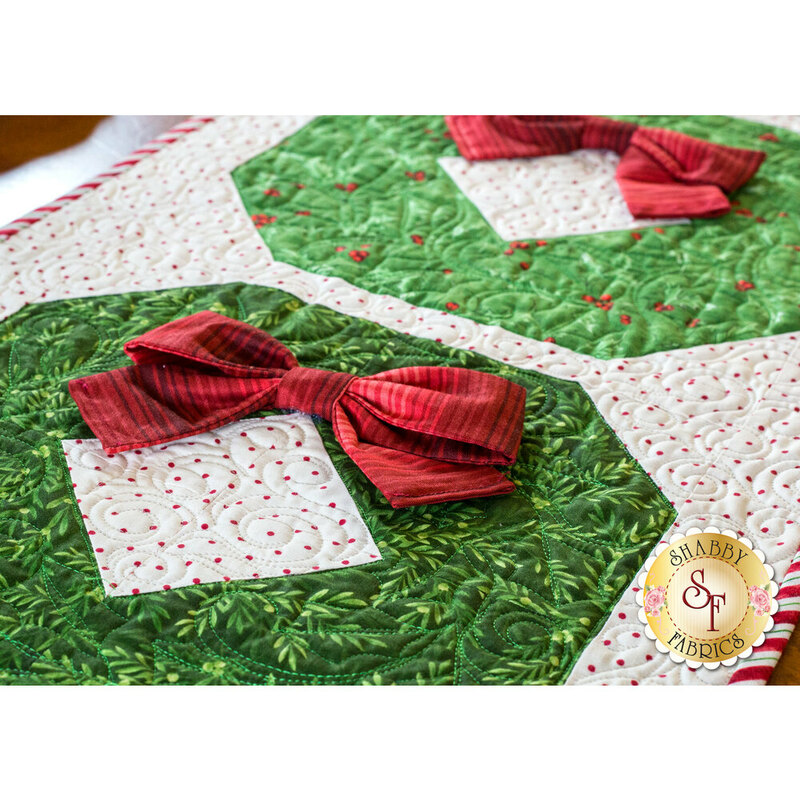 This runner features a gorgeous Wreath block made with a variety of striking greens. Little red bows on each wreath add the perfect finishing touch! Table Runner measures approximately 16½" x 52½". Beginner friendly! This Kit includes the pattern, all top fabrics to complete the quilt, the binding, and backing! Add the 45mm Olfa Rotary Cutter below for all of your precision cutting.